Before you get started with brushing or combing your dog, gather all the tools you need for the grooming session. Having everything you need in one place and within reach makes the brushing and combing session go much more smoothly. If you live in a flea-prone area, make sure that you have a flea comb handy, especially during flea season. 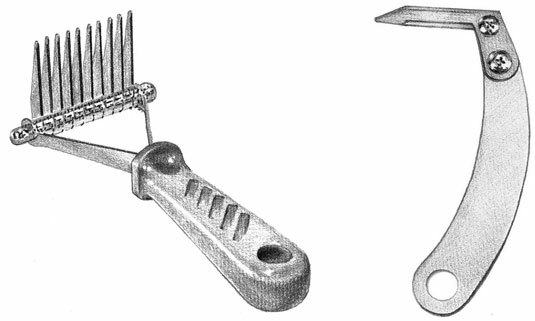 An undercoat rake or long comb: To remove the loose undercoat hairs. If your long-haired dog is also thick coated, you need an undercoat rake to groom effectively. Some groomers prefer using wide-toothed combs first and then changing to progressively narrower or finer-toothed ones. This strategy is good whenever your dog has really snarly hair. However, if you’re simply maintaining your dog’s coat, you can use a fine- or medium-toothed comb and then a slicker brush. Detangler solution and a mat splitter or mat rake: For tangles and mats (use electric clippers in extreme cases). A mat rake or mat splitter helps you thin things out. A shedding tool: For removing the soft undercoat when the dog is blowing coat (shedding profusely). Though it looks a little dangerous, a shedding blade just pulls out hair. 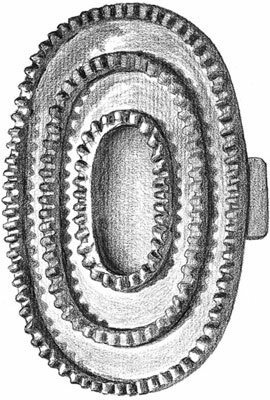 A shedding blade has small teeth like a serrated knife (but they’re not sharp) and is generally shaped like a loop attached to a handle; it pulls out a heavy undercoat quickly. A slicker brush: For removing dead hair and stimulating the skin and coat. A slicker brush gets the dead out – dead hair, that is. 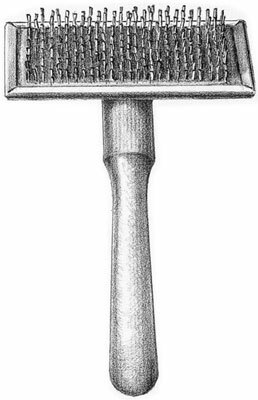 A short curry brush: For removing dead hair and polishing the coat. A curry brush helps get rid of loose fur. 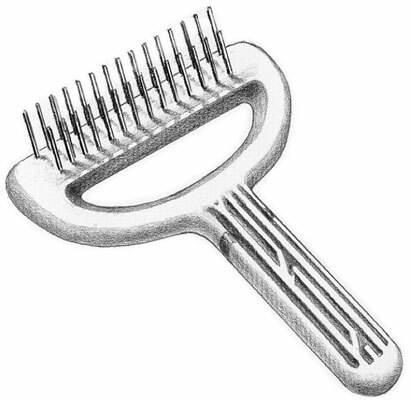 A short-toothed comb: For removing dead hair and getting through any tangles. Detangle hair with a short-toothed comb.